You'll LOVE these Webinars & Seminars! With the holidays behind us, many are now turning their thoughts towards taxes and the April 15th deadline. Thankfully, there remains more than 2 months to prepare. Compiling information for the return can eat into leisure time. If you are not using a good recordkeeping system, perhaps that will be something to implement this year. To help refresh on deductible rules, I often direct folks to the Recommended Reading for Small Business section of the IRS website. Here you will find numerous publications on rules that apply to your business, which can help you organize information to take to the CPA, or direct you when preparing your own return. Another helpful tool, is the IRS Video Portal Tax Reform for You. Select and view lessons around your busy schedule. Speaking of video lessons, you'll find over 15 topics under the Business tab. There are also tabs for Tax Professionals, Charities and Nonprofits, as well as for Individuals. Just remember to take time out for yourself during the busy tax season! The Small Business Center is offering several webinars to make learning easy right from the comfort of your home. To network with other like-minded business people, please come to one or more of our seminars. As always, I appreciate the opportunity to be of service. Please feel free to contact me if I can be of assistance. Schedule a counseling meeting. 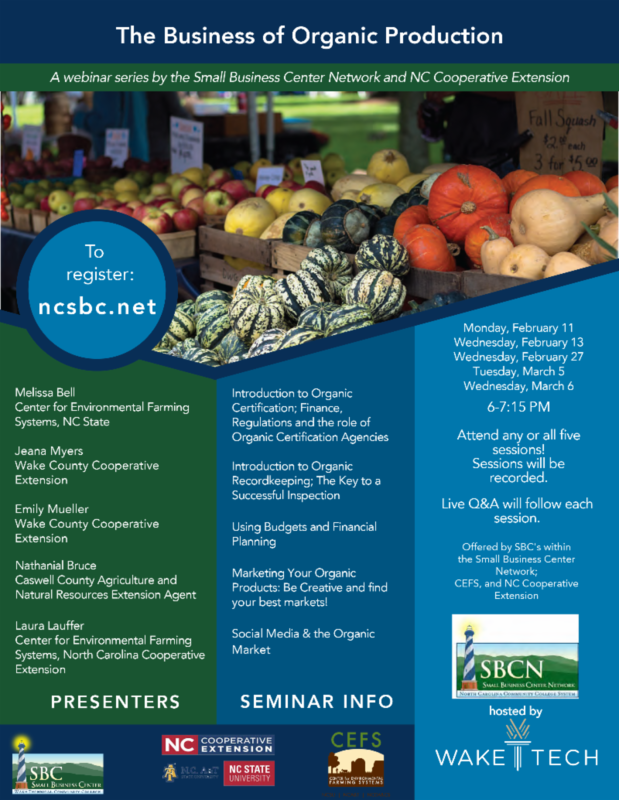 Register for The Business of Organic Production webinars by visiting www.ncsbc.net or click on the flyer below. Is Owning a Business a Good Fit for You? - Register! Achieving Your Business and Personal Financial Goals - Register! Podcasting: Delivering Your Message Directly to Your Customers - Register! 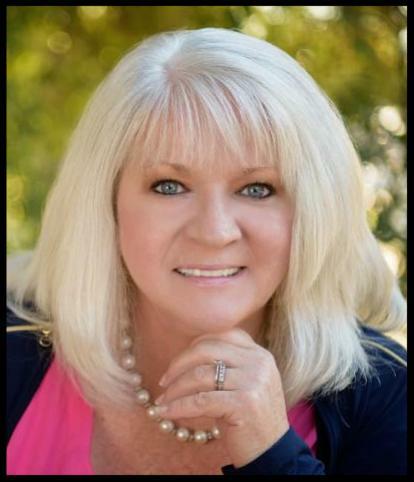 Planning for a Healthy Business - Register! Sales and Use Tax 101 - Register! How to Start a Food Truck Business - Register! Start a Profitable Virtual Assistant Business - Register! How to Write an Effective Marketing Plan - Register! Business Structure and Risk Management - Register! Organic Grower Series: Introduction to Organic Certification; Finance, Regulations and the Role of Organic Certification Agencies - Register! Organic Grower Series: Introduction to Organic Recordkeeping; The Key to a Successful Inspection - Register! Organic Grower Series: Using Budgets and Financial Planning to Cover Certification Costs - Register! Organic Grower Series: Marketing Your Organic Products: Be Creative and Find YOUR Best Markets! - Register! Organic Grower Series:Social Media & the Organic Market - Register! From Pipedream to Plate: Starting Your NC Food Business - Register! Nonprofit Claim for Refund Workshop - Register!